Grote has released several new automotive LED lights in white colors for truck and 4x4 vehicle. At the Mid-America Trucking Show, Grote Industries Inc introduced several LED lighting products including a WhiteLight LED work lamp, dual-mode military lighting and ergonomic interior lighting. 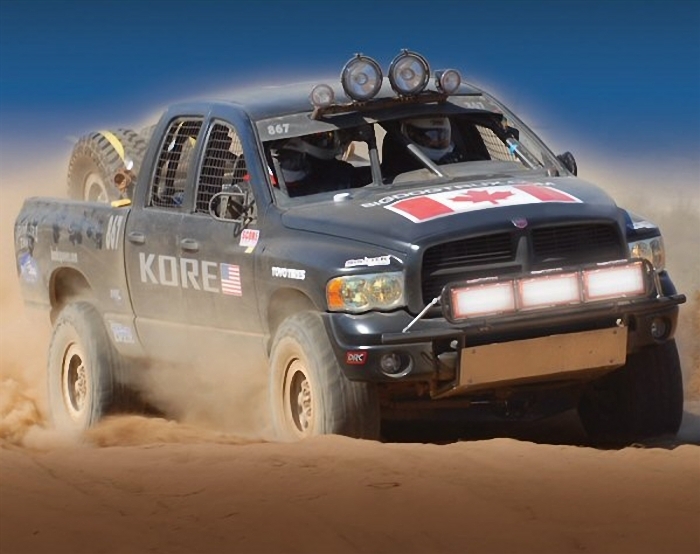 One of the highlights was a 6000 lm lighting array that competed in last falls brutal Baja 1000 race. The WhiteLight array not only helped the team to navigate the dust-choked, night portion of the race, it relied on superior technology to cool the lamps internal heat, rather than traditional solutions, such as fans. "The heavy-duty, off-road market has been waiting for LED forward lighting and LED work lamps, and Grote will deliver them in a matter of months, not years," said Dominic Grote, company vice-president of sales and marketing. Meanwhile, Grote is going to deliver warm WhiteLight LED lights to the market, which rely on advanced optics and spectral technology to provide a bright, but pleasant and soothing light that reduces stress and provides best viewing comfort. "You might call it ergonomic lighting," Grote said. Grotes military level LEDs offer dual operating modes: standard, WhiteLight, illumination mode; and tactical or blackout mode, which uses a combination of red/white or blue/white color to allow soldiers to see, but remain less visible to the enemy. The military lighting line also emphasizes the use of night-vision technology.